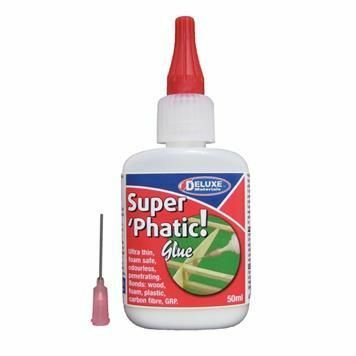 A very strong, high penetrating glue for porous materials such as wood & foam. Ideal for assembling laser cut plywood kits. Supplied with fine tipped applicator for precision application. Waterproof when set and produces tougher joints than superglue.Bonds wood, plastic, carbon fibre, plastic, foam, glass fibre, tissue & paper. Has a wide range of uses in all types of model making from railway modelling to radio controlled aircraft. I used this glue on the baseboard kit and was very impressed.